As usual, great research and pictures Gary. Yes, great research, great pictures. Especially the earlier picture looking west from Pettigrew at the intersection with Fayetteville. I was searching for posts on 1600East pettigrew and just thought i'd respond to one. Know anything about the structure at 1600 East pettigrew? the one that has been cleaned up and is now housing the Durham Green Flea Market? 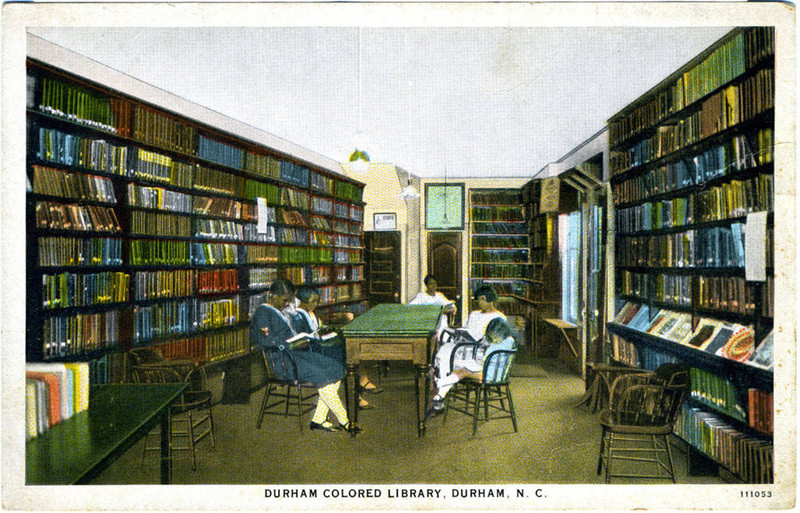 Original "Durham Colored Library", looking east ~1910s. 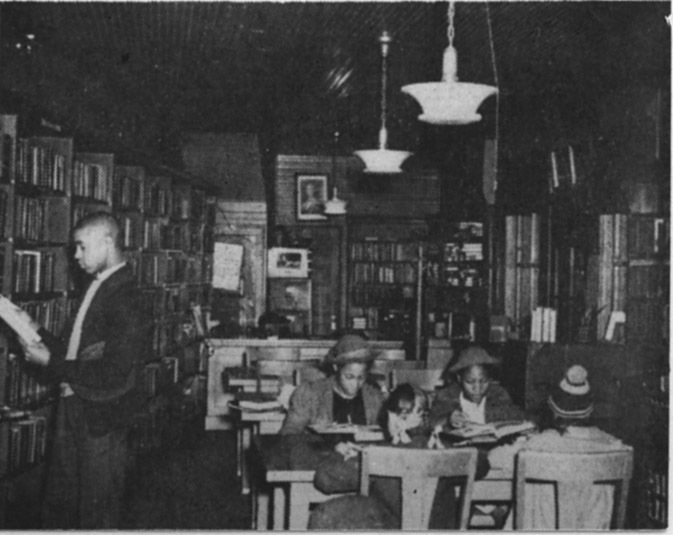 The "Durham Colored Library" began as a Sunday School library established at White Rock Baptist Church by Dr. Aaron Moore in 1913. 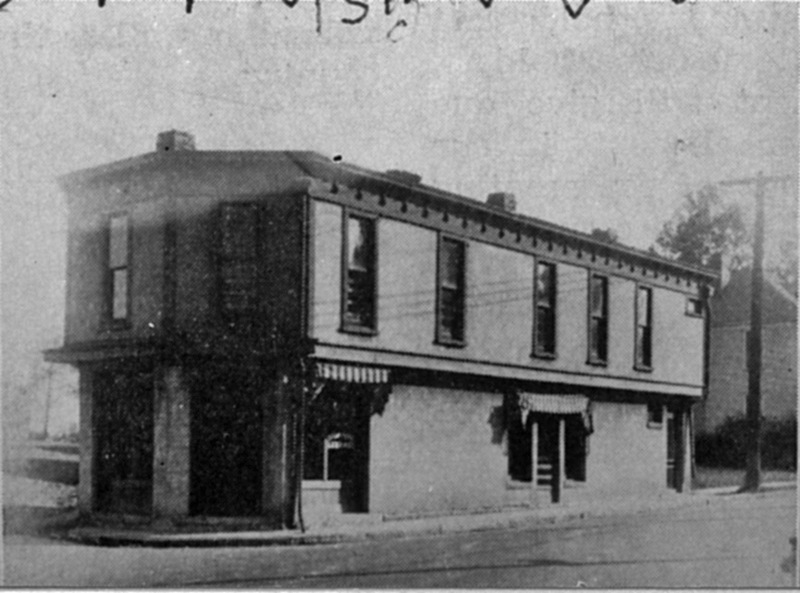 In 1916, Dr. Moore and John Merrick provided the necessary funds to construct the above building at the southeast corner of East Pettigrew and Fayetteville Streets, and Lillian Baker Griggs - the city's librarian - assisted in the conversion of the White Rock collection to a public library. 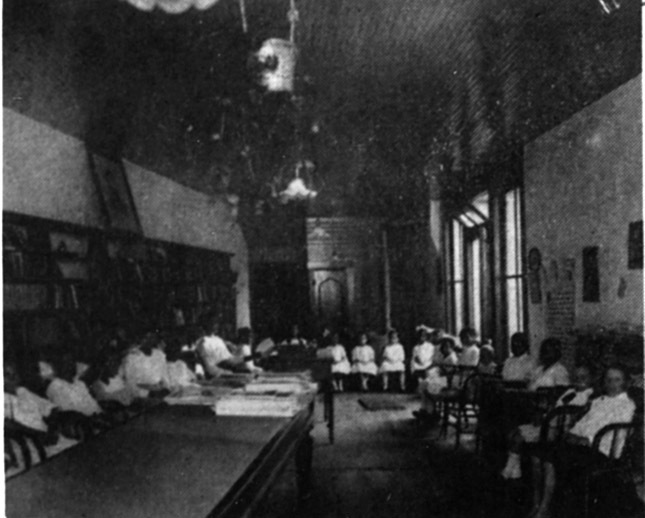 Hattie Wooten became the first librarian at the library. Interior shot of the library, undated. In 1917, the city began to provide funds to support the library, followed by the county in 1918. Donations grew the library's collection - in 1919, Jean Anderson notes that the collection grew from 1942 volumes to 2389. This unusually-shaped building (which, I must admit, makes me think of a coffin) served the Hayti community until 1940, when a replacement library was built ~7 blocks to the south on Fayetteville St., and the library was renamed the "Stanford Warren Library" and became a part of the county library system. This building became the home of Long's Florist and the Modern Beauty Shop for the next ~25 years. 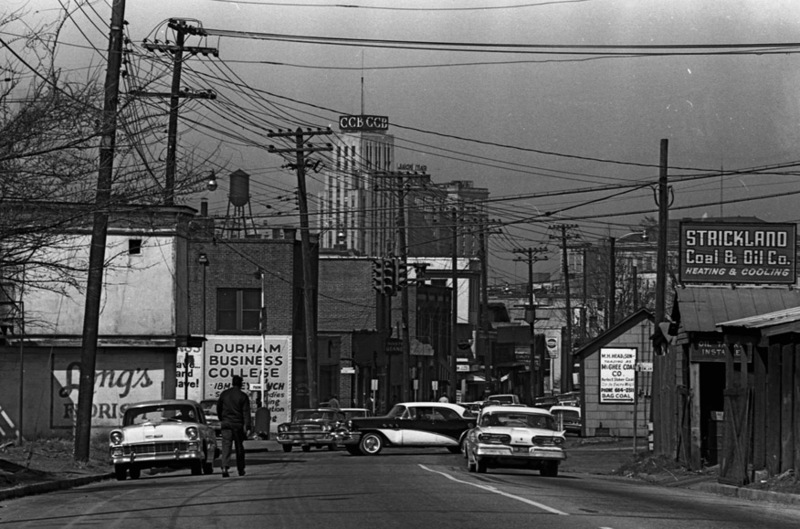 Looking west on East Pettigrew Street from east of Fayetteville St. towards that intersection, 1960s. The former library building is at the left edge of the picture. This building was torn down in the mid-1960s. Looking east at the former site of the library / Long's Florist / Modern Beauty Shop, 09.27.08. The building would have been ~20 feet to the east of the current Fayetteville St., and extended into the current right of way of East Pettigrew Street east of Fayetteville.